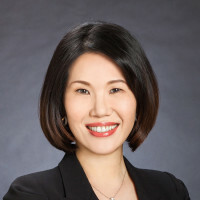 Crystal J Chen is a partner at Tsai, Lee & Chen. In her more than 20 years of practice she has covered all areas of IP law, including trademark prosecution and litigation, advising on patent law and enforcement, anti-counterfeiting and infringement actions and well-known trade dress protection under the Fair Trade Act. In addition to practising in Taiwan, she also frequently advises clients on Chinese IP law. Ms Chen’s global clientele includes Fortune 500 companies in Asia, Europe and North America. She and her team recently won several landmark cases based on unfair competition and patent laws. Ms Chen has been admitted to the Chinese National Bar and the New York State Bar. She is the incumbent chair of delegates for independent members of the International Association for the Protection of Intellectual Property, a member of the American Intellectual Property Law Association, the American Bar Association, the IP Owners Association and the Beijing Bar Association. She has been the editor in chief for the firm’s quarterly publication and is a frequent writer for a selection of international IP journals. She has also contributed to various IP conferences as a speaker and moderator. From 2016 to 2018, she was named as an IP Star in the areas of strategy, counselling and litigation and was recognised in the top 250 women in IP law by Managing Intellectual Property. In February 2017 Ms Chen was announced as the winner of the Intellectual Property – Patents category for Taiwan by the Client Choice Awards.